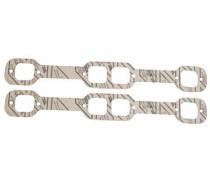 These Trick Flow® header gaskets don't expand or contract, preventing leaks during the warm-up and cool-down stages. Their steel core construction eliminates burnout, and their heat-resistant coating stops leaks and expansion. 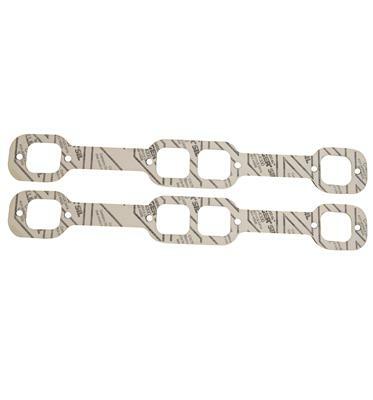 Trick Flow® computer-designs the port alignment of these gaskets for a more accurate fit. Port Height (in) -- 1.625 in. Port Width (in) -- 1.750 in. Thickness (in) -- 0.065 in. Notes: Designed o fit Trick Flow® 18 degree cylinder heads.